Thousands of businesses and other organizations of all sectors and sizes use Spendwise to save time and money. Pricing varies depending on product, plan, and number of users. Spendwise is an affordable easy-to-use online system that helps you control spending saving you time and money. Users can create purchase orders, submit them for approval, approve or reject them, and send them directly to vendors. Users can also keep track of items and bills received from vendors. Spendwise is web-based so you don't have to install software and you can access it from anywhere. Visit our website for more information and sign up for a Free Trial and/or Demo! Good software that we don't utilize enough! Overall: My company mainly uses your software as a PO creation tool. I know that you have a lot of reporting and accounting tools and other tools that we don't use that we definitely could/should. The software works well for us to simply create POs with easy fill-in-the blanks for saved company names and information so multiple people can use it as an address book, essentially. We then have a record that shows all POs we've placed over time as well, across multiple users. What we don't use very well is the accounting tools - we don't really categorize or use the reports at all for accounting purposes. We have a whole accounting team who keeps track of that type of thing in Quickbooks. Our Operations team is who uses your software for the most part for ease of creating POs and also record keeping for basic PO information. Giving you 4 stars across the board for the product - it seems pretty user friendly in general. Maybe not enough tutorial type information, that could be helpful, but I haven't really gone looking for it. Giving you 5 starts for customer service because you were very responsive when I did have a question. Thank you for your feedback Anna! We would love for you guys to use Officewise for all of your accounting needs and think that you would like it much better than QuickBooks but we might be a little bias:). That said we have many customers who use our system along with QuickBooks like you do which is just fine too. I agree with your point about having more tutorials and other support tools, we are currently working on these things and will make them available within the next few months. Pros: The simple design and ability to use a variety of categories to search through data. Cons: I preferred the lighter color scheme Officewise had before the most recent design update. I also need to be able to type in a partial purchase order number in the search section and have any purchase order with that info pull up in my search. Overall: Officewise offers more functionality than I expected considering it's such an affordable price. The interface is simple and very user-intuitive. My entire office is able to input data and keep things organized and up to date. 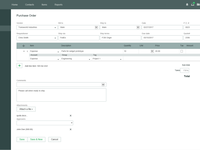 We use the purchase order feature the most. The product is consistent, so I have never had any error messages or glitches like I do so often with another, more expensive software we use in-house. My favorite thing about Officewise is the ability to cross categorize my searches. The only thing I'd like to see in the future, is being able to pull up data that has any part of what I enter in the search bar, rather than having to have exact searches. Thanks for offering such a great product! Able to work with the software and have a positive experience when using it. Pros: The ease in the use of the software. Several fields can be populated by typing the first letters of a vendor's name. The item numbers also can be populated with the first few letters on the company's item numbers. Cons: There was an update to the software a few months ago. There was no training on the changes to the software. It was difficult to determine where items needed to go. It took sometime to figure this out. Overall: The ability to track purchases and determine total dollars spent by vendor. Thank you for your review. We agree that we could have done a better job of communicating the updates we made to our user interface a couple of months ago. We don't plan to make any other significant changes to our user interface but will be sure to better communicate any changes going forward. The software was recently changed. I believe the initial software used was much more user-friendly. Pros: The software allows a paperless and more efficient process in ordering items. The approval hierarchy is great. Cons: Some changes to the website adds some difficulty in maneuvering through to find other pages. Example, I had to edit the authorization of a new hire and it took me a while to find where that section was moved to. Overall: We now have a paperless process in executing POs. The process is now more efficient, we maintain a history on our purchases and the time saved is better served on other projects. Thank you for your feedback. As mentioned we did make some changes to the user interface of our system a few months ago which we believe will make it better going forward. We understand and appreciate that it can take some time for existing users to get use to the changes and apologize for any inconvenience. We are not planning to make any other significant changes to the user interface and hope that the new help center we launched along with the changes makes it easier to adapt to the new user interface. Good program, would like to see an update! Comments: It would be really helpful if approvers were able to see the PO on their home page along with all the other PO's they've created. They require having a copy of the invoice for their records. Currently our accounts payables is having to forward all invoices to employees that have record keeping files and this is very timely. Pros: This program is very user friendly and easy to navigate. If I ever encounter an issue I always hear back right away, the wait time isn't very long. Cons: It's not the easiest to import coding into the Lists. When you make a change to a PO or upload a file to it, it doesn't notify the creator the PO number, it just emails them a link to their inbox and they have to guess which PO it was. Thank you for your feedback Melissa! If users are not able to see purchase orders they approved I am thinking it might have to do with user permissions which can be changed so that they can see. I will follow-up with you directly to help resolve. Our system does allow you to keep track of invoices so that users have them for their records and I will follow-up with you to show you how this can be done so accounts payable doesn¿t have to spend time forwarding them. As for notification emails if users click on the link in the email it will take them to the specific purchase order that the notification relates to but I agree it would be better if we also referenced the purchase order number and will pass your feedback on to the team. Pros: The point and click aspect of it along with the customizable features for our different plants. we have been able to use this over three plants with being able to customize for each. Cons: cant run old web browsers with . Had some problem with working with older web browsers that some employees had . Overall: We took a manual PO system that was having to hand signed and went with this and now its all electronic. Took from a 3 day time frame down to less than a couple of hours. Thank you for your feedback Marty! As discussed Officewise works best on newer versions of browsers but we continue to support older versions as best we can. I believe the specific issue you mention has been resolved but I will follow-up with you directly to make sure that is the case. Pros: The software provides inventory control, sales, and purchasing tools all in one easy to use application that is not overly priced. Cons: The inability to modify inventory type (inventory vs non-inventory) after creation. It would be a major improvement to allow you to change the type instead of having to create a new item. Thank you for your feedback Lisa. I understand your point about allowing users to modify type so that you don't have to create a new item if you want to change. The tricky part is what to do with past transactions since they would have been handled in the system based on type when they were recorded. We think it is important to be consistent with how different types of transactions are handled in the system but also feel it is important to maintain the integrity of historical data. That said we are always open to new ideas on how we can improve the system and I will follow-up with you directly to further discuss. Pros: OfficeWise is pretty easy to use, even if you aren't familiar with their UI. Everything is in the right place and has solid basic functionality. Cons: Would like the ability to close multiple POs at once. No native support for Invoices to come through the system. Thank you for your feedback. To close multiple POs at once please complete the following steps: 1) Log in to your account, 2) Click Purchase orders in left menu, 3) Check box to left of purchase orders you want to close, 4) Click on More button at top of page, and 5) Click Close in dropdown. Not exactly sure what you mean by no native support for invoices to come through the system but will follow-up with you to see if we can come up with a solution. OfficeWise is easy to work with and does the basics of what we need. Pros: The software is easy to use, understand and to show others how to use. The ability to email POs with terms attached makes ordering very simple. Cons: Some of the reporting is limited. It would be nice to generate a report that provides invoices by sales rep. Also, a report showing remaining open balance on a sales order. Some of the parameters in setting users up is limiting. I have a need for letting people view all sales orders but not be able to change them. Thank you for your feedback Charles. We do have a report for sales orders by sales rep but currently not one for invoices by sales rep as you point out. I think that adding this report is certainly worth considering and will discuss internally to see what we can do. As for user access parameters we are planning to provide more options like what you describe within the next few months. Quick and Easy, ideal for small companies. Pros: This software took our company from a convoluted excel based system to an organized and easy to use software platform that we love. Cons: This software lacks a few features that would be helpful but overall not critical. Being able to track lead times, order numbers, and being able to pull that list by project would be very helpful. The software would also benefit from being able to communicate with other software systems, like quickbooks. Overall: Organized our procurement process in a beneficial and productive way. Thank you for your feedback Clint. The system does include order numbers and tags which are often used for project spend tracking and I have some ideas on how you can use due dates and other features to track lead times. I will follow-up with you directly to further discuss and see how we can improve. As for communicating with other software systems I agree that we can do better and it is on our "to do" list. For now I am wondering if our data import/export features can help you get you what you need and will follow-up with you to review. Pros: 1) approval process is now instantaneous. Previous manual system could take days. 2) I like the ability to search part numbers for repeat orders by part name or supplier. Thank you for your feedback Scott. To reduce the risk of duplication the system does prevent users from creating new items that have the same Item ID as an existing item but we understand sometimes that is not enough to prevent duplication. To further reduce risk and maintain consistency in part name/number we recommend limiting which users can add new parts through roles so that only certain authorized users can add new items. I will follow-up with you directly to show you how this can be done. Thank you for your feedback Gary. If an item is not used in any transactions you should be able to delete and if it is used in a transaction you can make it inactive so it no longer shows up in dropdowns etc. Allowing users the ability to change items from non-inventory is something we have considered in the past and will revisit based on feedback from you and others. I agree we need a mobile app and we have plans for this. I like your idea about different pricing on items and will follow-up with you to further discuss. Overall, Officewise is easy to use and a helps keep our purchase orders organized for 23 locations! Cons: We have had trouble with the approval process. You can select multiple approvers in the PO, but rather than going to the next approver, our POs will go back to the original person submitting the PO each time an approver approves. Thank you for your feedback Meredith! Not sure why PO would be going back to the original person submitting the PO each time an approver approves. Will follow-up with you directly to help resolve. Pros: The ease of creating purchase and sales orders. Also like tracking the sales orders/purchase orders and to get a history. Cons: It can be slow but can't tell if its the software or our network. I am not able to track by project. If we do samples orders for various projects I am unable to look up by a project to see what sample requests are being worked under a specific project. Thank you for your feedback Jim! We have not received any other reports of our site being slow and we closely monitor performance metrics to make sure it is working fast so there might be an issue with your computer or network. That said we are constantly trying to improve the performance of our site so I will follow-up to see what else we can do to speed things up on our end. For project tracking I recommend using "Tags" or creating a custom field on the order form and will follow-up with you to show you how this can be done. Initial set up and daily use is very easy. Pros: I was asked to start the purchasing department for our pipeline company, after trying 10/12 Purchase Order systems, I tried Officewise, unlike the other more expensive systems with little or no U.S. based customer service, they walked me through the initial startup. 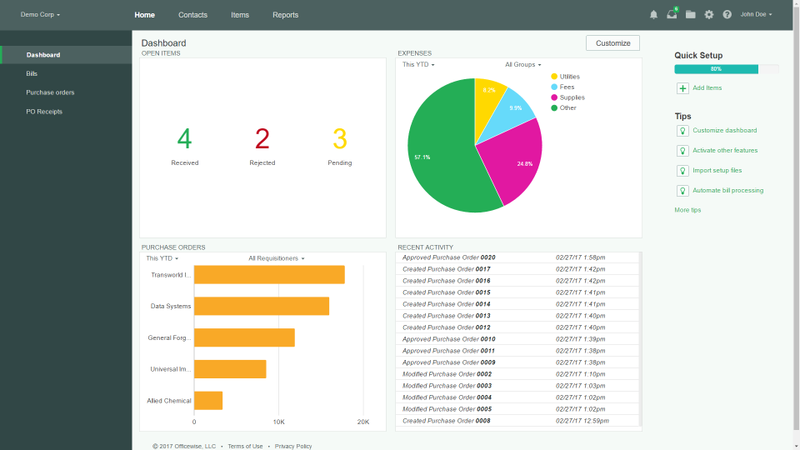 With multiple ways to pull reports, my asset manager, accounting department and sales team can find exact cost in numerous ways, very quickly. I cannot thank service agent enough for all the help he gave me, the best advise I received was to start playing with the reports and then set up the Tags, Groups, Etc., in this way you can pinpoint how you want to pull your report. Cons: The void button still gives me nightmares, do not ever void a PO, anything can be corrected except this. It's easy to find what you need and to submit POs. Pros: the ease of use and the ability to copy POs. I love that I can copy POs that I make to the same vendor and though I need to edit it, it is much easier than starting a new PO. Overall: it's an easy way to keep track of POs and I can go back and research or find POs and re-print or mark as received. Thank you for your feedback Daphne! I see what you are saying about 2 clicks to get from your inbox to list of POs and will discuss internally to see what we can do about making it one click. Pros: Simple interface and keeps track of everything. The line item memos are great for justifying purchases. New Items can be created on the fly. Cons: A large amount of our ordering is random one off items from places like amazon or eBay, I would like better support for these types of purchases. It would be great if we could put in tracking numbers to know when orders will come in. Thank you for your feedback! Agree we can improve on how our system works with other systems and will share your comments with the development team. For tracking numbers we recommend using the History & Notes feature where you can post a note with a link to tracking information. Hope this helps. Easy to use platform on a day to day basis. Pros: Search function is great to find other users PO's. The interface is very well done and easy to find what you need. Cons: Certain restrictions at specif user levels are not customizable. The approval process could be improved on. Overall: Easy PO creation and tracking. Thank you for your review Carlos! We are always looking for ways to improve Officewise and appreciate your feedback. I will follow-up with you directly to see what we can do to improve user access customizations and the approval process. Pros: Similar to quickbooks, so if you use quickbooks you can automatically use this easily. Overall: We Love Love Love OfficeWise. We mostly use it to keep track of orders. As a busy Design Firm we need all the help we can get keeping track of furniture orders, cabinets, tile and everything we order for a project. The report system allows us to to do a print out and mark it with expected ship dates and helps us to track what is on order for several projects at once. Pros: The fact that we can search key words for previous POs that have been created. Cons: Not much that I don't like! Once in a while it won't let me delete the top row on purchase orders when I add one too many lines, but that isn't really any issue. Overall: We've been very happy with Officewise! We use it every day to create Purchase Orders and cross reference items we've ordered for deliveries ect. Definitely very easy to use and extremely helpful! I was new to Officewise and had very little training. In no time I was up and running! Pros: Very easy to use and negotiate your way around the software. I also like being able to customize the dashboard. Cons: You can not print a detailed PO from your dashboard once it is approved. You have to go to Home then Purchase Orders, search for the PO then print them. Wish there was a quicker way to do this. Thank you for your feedback Susan! Once a PO is approved you should be able to click on a link in the approval notification that will take you directly to the approved PO where you can print it. From the list of POs you can also set filters to see only those purchase orders where you are the requisitioner which may make it easier to find POs. I will follow-up with you to further discuss these solutions and how we can improve. This software is web-based, easy to use and intuitive. Pros: I can attach receipts, packing slips, RFQs, etc. directly to the Purchase Order and not have to worry about lost documents. All the information is there for anyone that needs immediate access without hassle. Cons: The search features could use a little improvement. It would be nice to be able to search on just a wildcard but does not. Overall: Not having to use a hard-copy system. Pros: Website is very easy to use and self explanatory. You can easily save POs, convert to PDF, search for past POs. The latest update has also added quite a few new and great features. Cons: The only Con or feature I wish could be added is a list of projects so that you can allocate which PO belongs to which project. Thank you for your review. For project tracking we recommend using the "Tag" field on the purchase order. 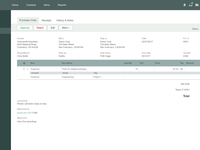 You can then run purchase order tag reports to see which PO belongs to which project. I will follow-up with you directly to show how this can be done. Thank you for your review! There should only be one line for entering expenses followed by optional accounting detail fields below which you can hide if you want. I will follow-up with you directly to make sure I understand your feedback and show you how to hide accounting detail fields and otherwise discuss how we can improve. The most affordable, feature-rich option out there! Pros: Easy to learn and use, the features we need are built-in and we didn't have to do a lot of customization! Cons: We still need to learn how to integrate the software with some of our accounting systems - we feel that training would help. Hopefully, we are able to find some help with this. I'm not sure we have been able to reach a live human yet - but maybe we need to try a littler harder. Overall: Officewise has helped us take control of our spending which has helped increase profit within the first few months! Thank you for your feedback. We would love to help however we can and can be reached at 1-855-906-3300 or you can send an email with your contact info to support@officewise.com and we will get back to you as soon as we can. Cons: the mobile website version is not easy to use, the screens are hard to view and the lettering and typing of new work are difficult to see and use. Overall: What a great website. It makes business easy and painfully easy to keep track of . Thank you. Enjoy the ability to send quotes and invoices through email and then being told when the email is opened and viewed. Thank you for your feedback Jose. We are currently working on some major upgrades that will be released next month. Upgrades include dramatic improvements to the user interface which will make our system much easier to use on your phone. We also have plans for a mobile app to make it even easier in the future. Stay tuned. 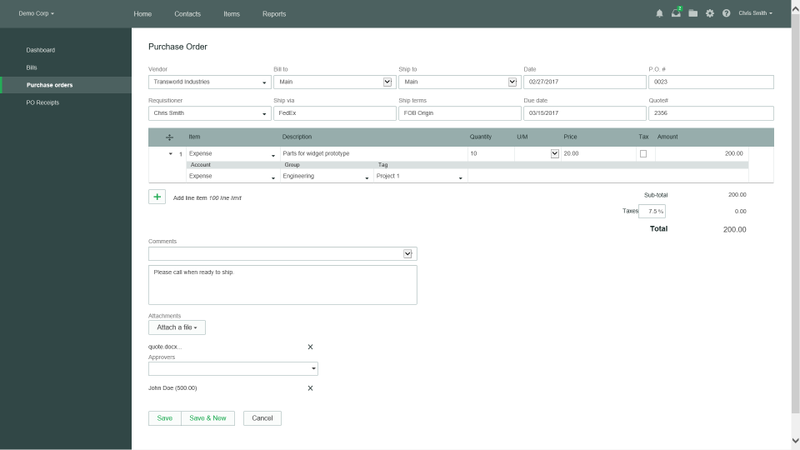 Pros: the filter and sort fields make it easy to find any Purchase Order quickly. The ability to email a PO straight to the vendor cuts down on repetitive actions! Cons: When I close a PO I would like the screen to refresh to the main PO list instead of having to close out of the closed PO screen. Thank you for your feedback. To end up on the main PO list page after closing a purchase order we recommend closing the purchase order from the list page which you can do by checking the box next to the purchase order, then click on the More button at the top of the list, then click on Close option. This feature also allows you to close multiple purchase orders at a time. Hope this helps. Cons: Can't revision quotes without losing old quote. Wish I could put costs in quote for my own tracking. Overall: Love the software. Version 2.0 is awesome. Just wish it have the ability to do quote versions & track cost inside of a quote without having to create an inventory item. Thank you for your feedback Glen! I have some ideas about how to revise and track versions of quotes as well as track cost without having to create an inventory item. Also would like to better understand the issue to see how we can improve going forward. Will reach out to you to further discuss. Pros: Readily searchable, multi-user platform that serves our small 27 person well. We track all our requisitions and purchases for raw materials, detail parts and lab-ware that are procured daily from over 30 suppliers around the globe. Overall: It's so much easier to use then the system we were using before. It saves so much time. Thank you for your feedback Jann! The complete list of PO's should come up when you are on the purchase order list page. Not sure why this is not happening for you but I will follow-up directly to help resolve. Pros: I like how it self generates pos, emails orders, tracks everything very nicely, very user friendly!! Cons: I really cant think of a con other than when you email someone they can't reply back to you unless they have your email. when they reply to the order it goes to officewise email account. Thank you for your feedback Tyler! We recently updated the system so that if you reply to an email received through the system it will always go back to the person who first sent it instead of to an Officewise email account. Pros: The easiest way to access what you need. Cons: Everybody can do changes to people. I would prefer more control. Overall: The softwave have been an excellent source for our company and very friendly for users. Service is quickly. Thank you for your feedback Rebeca! You should be able to limit who can make changes to people through user roles. I will follow-up with you to further discuss and resolve. Cons: I would like to be about to have more ability to customize some things but other that that is great. Thank you for your review Tim! We are currently working on some upgrades that will give you more freedom to customize forms and other aspects of the system. I expect that these upgrades will be released within the next month or so and will notify you when they are available. It has helped to streamline our purchasing approval process. Pros: The email notifications are nice because it is an easy for me to know when an approval is needed from me. Cons: I would like for the PO's to show the current spend on a project along with the current budget for a project so that I can make sure we are spending within our project budgets. Overall: A More organized PO approval process. Thank you for your feedback! For budget management we recommend using "Groups" for tracking spending on projects which will allow you to run budget to actual reports for the project and set over budget alerts that warn you if you are going over budget. I will follow-up with you directly to show you how these features work and further discuss how we can improve the system. Officewise is great and easy to use but the limitations in the description box is a problem. Pros: I like the efficiency of it in the office setting. It is nice to be able to have a place to submit everything you need and it can be sent to the person who needs to purchase the orders. I like how it sends emails notifying you when something has been sent to you or approved. Cons: The description box does not allow enough lines to type and you cannot add the same approver more than once, which is a little inconvenient in some circumstances. Overall: You benefit from having one central location to put in all the orders you need to purchase for the office, as well as, let administration know what id going on event wise. Thank you for your feedback Lindzee! The description field has a 900 character limit which we hope meets your needs most of the time. In cases where the description exceeds the character limit we usually recommend attaching a file with the description to the purchase order and referencing the file in the description field of the purchase order. I will follow-up with you directly to see if this solution could work for you and discuss other alternatives. Every Busy Manager Should Have It!! Pros: Easy and accessible from anywhere!!!! Cons: Email feature that remembers everything!!! Overall: One of the best things I have ever done concerning purchasing, etc. The fact that I can access it anywhere on-line makes it an incredible product, especially when a small business manager has to multi-task and take care of equipment ordering needs on the spot. My IPhone has grown very accustom to making transactions on the fly!! Response to questions from customer support has been very personable and quick!! Recommendations to other buyers: Buy it and do it NOW!! Pros: The fact that it is very user friendly and supports what we need to capture purchasing and approvals for those purchases. Having the ability to download actual copies of the invoice is a plus, because it allows the approver to make a conscious decision in making an approval. Overall: An excellent purchasing approval method. The software creates a great way to monitor purchasing. Pros: Ease of use. I have no secretarial, business, or accounting background and I was able to figure out how to use this program. Cons: Not mobile friendly. At least with my phone. May be on my end and not program's. 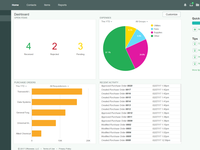 Overall: Overall my experience with Officewise has been good. If I can figure out how to use something, anyone can. The only difficulty I've had is when I access my account via my "smartphone". Thank you for your feedback Cecil. We have plans for a mobile app and in the mean time try to make our site as mobile friendly as possible. Not sure exactly why it isn't working so well on your phone but will follow up with you directly to see what we can do about fixing. Pros: Ease of use--even in a mobile capacity. Overall: Our company has been utilizing OfficeWise for many years now & has seen it through many updates & improvements. The staff is very helpful & has always been up for making client-suggested tweaks when able. We appreciate this product! Implemented this software in our company more than a year ago. Works well. Seldom any issues. Pros: Ease of use and reliability. Good / fair cost for the system. The system is well maintained and supported. No issues for the role this system in our operation. The system is well maintained and supported. Overall: we use it mainly for Purchase orders etc. work very well, easy to use and share data with other users within the organization. Pros: The ease of the software, the format, the great customer service and it's one hundred percent dependable. Overall: Keeping track of all my customers and weekly invoices with ease. 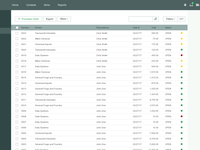 Overall: We use Officewise daily for purchase order management and vendor interaction. The old process was slow and it required many steps, with Officewise we took our purchasing department from 4 to 1 staff member because of the ease of use, speed and overall management efficiencies we gained. Officewise has saved us money!!!! Recommendations to other buyers: its help us in so many ways, we really feel its reliable and very needed in our busy parts ordering business. Pros: Simple interface, easy to use, easy to set up, great price point. This is a wonderful value for the money, especially when you're only charged for the active logins per month. Cons: Doesn't easily integrate with old accounting software. Not really the worst thing, but there's no way to get it to talk to older software like Peachtree 2010. Easy to use and track purchases! Pros: We are a small office site on the other side of the Country of Armenia corporate location. Having office wise makes submitting peels and receiving on them to our finance office like they're sitting in the next office down. Cons: Wish there was a way to remind me to revive my po's through email or remind me when I log in. If there is it is not very easy to see. Thank you for your review Tracie! Our system does have a reminder feature that will notify you of purchase orders that are still pending your review. I will follow-up with you directly on how to activate the reminder feature. Cons: If there were some very simplistic instructions or tips that would have helped with set up. We setup before many of the upgrades were made and we could not take advantage of budgets because of how we setup the purchase orders. 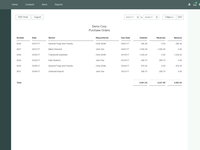 Overall: We started using Officewise (formerly known as Alatus) to manage our purchase orders. It was very easy to use, got the job done and intuitive to use. It was one of only a few choices of a basic product where we do not have to invest in something more than what we needed. We are happy with it and the enhancements made have made it even easier and more complete. Overall: Very nice tool for Purchase Orders. We use this frequently but are growing larger than it as it doesn't allow for searching on the free version. Thank you for your feedback. Most users on the free version have a limited number of transactions so do not need to search but I understand how that could be a problem if you do have a large number of transactions. I will follow-up with you to discuss potential solutions. Pros: I love the fact that this product is easy to use, especially the fact that I can send PO to the office conveniently. I love it! Overall: I found it to be very efficient and easy to use. Pros: Many options to choose from. Able to download a PDF of the invoice or send an email directly. Client information is saved and easily accessible. Overall: It was awesome that I was able to easily create invoices and quotes online for my business. Easy to use and great communication from the representative. Thanks! Thank you for your feedback Danielle! To apply a discount we recommend adding an item for discounts in your item list and then selecting it in your invoices or quotes as needed. Will follow-up with you directly to further discuss and see how we can improve.